01. Purchased these calenders / 02. Started Reading Breaking Dawn on Tues / 03. Wore new my Edward Cullen Bracelet / 04. Got this Britney Spears Album / 05. 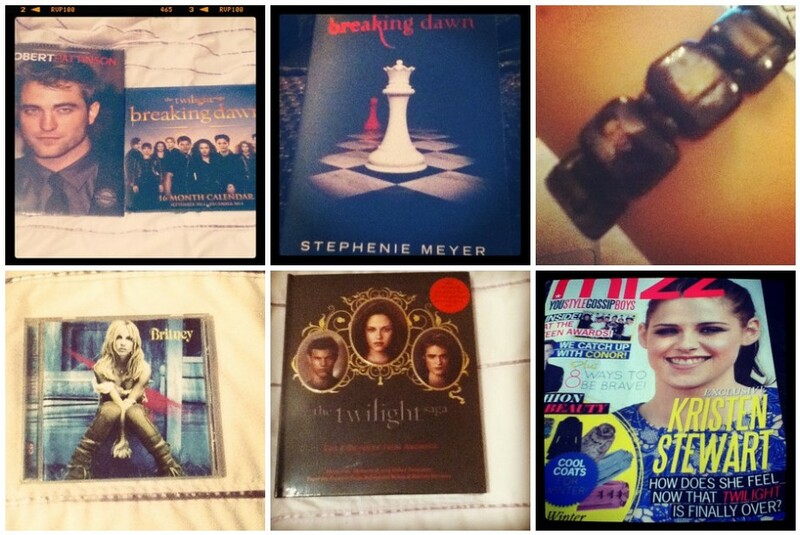 My Twilight Saga Film Archive Book came early / 06. Purchased this Mizz Magazine Today with Kristen Stewart on the cover :).